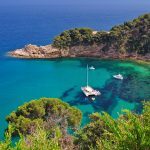 Surrender to the charm of the ”pearl of the Costa Brava”! Tossa de Mar is a small picturesque village on the Catalan coast. Its rich history makes it an essential destination for anyone who loves history and heritage! Feast your eyes! 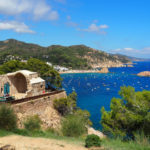 This ancient fishing village is bursting with treasures and many beautiful places to visit during your stay on the Costa Brava. 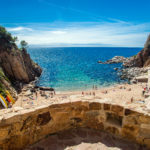 Our opinion on must-see places in Tossa de Mar. 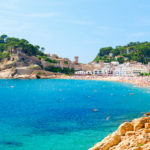 Whether you are spending a holiday here or taking a day trip, Tossa de Mar is well worth a visit. The village has a distinctive appearance thanks to its twelfth century ramparts that overlook the sea and its white houses with flower-covered balconies. But Tossa isn’t just one of Spain’s postcard-pretty villages! 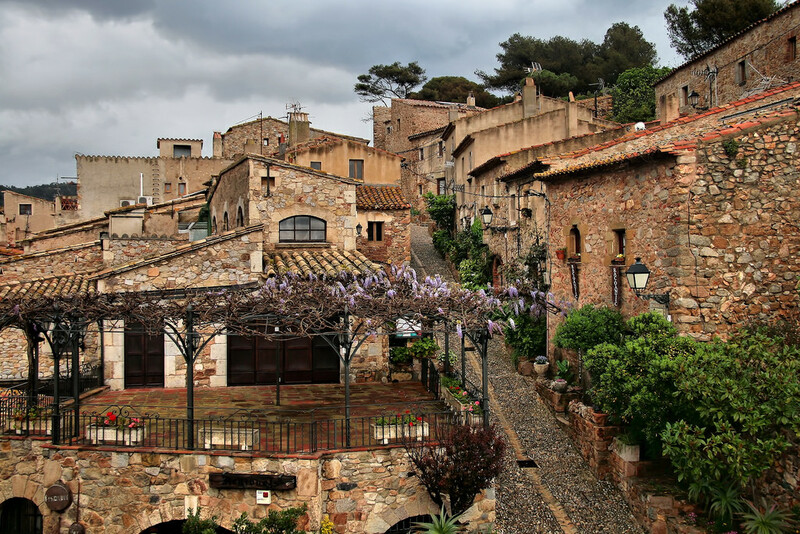 This ancient fishing village is the perfect place to immerse yourself in the history of Catalonia and discover its Spanish heritage. 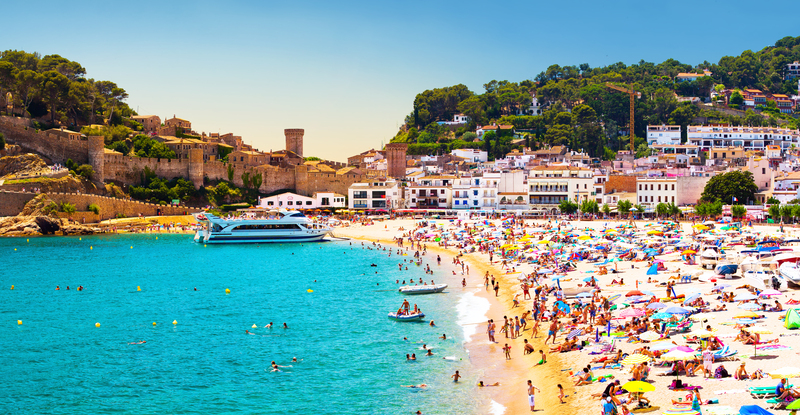 For a culture and history filled holiday on the Costa Brava, come to Tossa de Mar! Archaeological excavations have identified the various occupants of what is now Tossa since ancient times. It began with the Iberians followed by the Romans. The extension of the Roman Empire into the Iberian Peninsula strengthened the importance of this coastal village. Visit the Roman villa at Ametllers to see for yourself. A great tip for when you’re on holiday on the Costa Brava. At that time, Tossa de Mar was named Turissa. The rise continued in the Middle Ages and the Renaissance period when the town was used as a base and a hunting post for the Counts of Barcelona. It is thus endowed with beautifully preserved fortifications that can be admired to this day. The old town, in the meanwhile, is brimming with religious buildings. 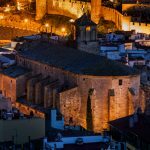 Go back in time to discover Tossa during the Renaissance period with a visit to the Moorish tower and the chapel of the Virgin del Socors. In modern times, the city was stifled by the medieval walls and little by little its inhabitants began to settle outside of the ramparts. That is when fortified farms began to appear. Sheltered by their ramparts, they endeavoured to resist pirate attacks along the Catalan coast. Discover an example of these original farms through a visit to Can Leandro. Since the eighteenth century, some of Tossa’s inhabitants have made the most of the discovery of the Americas to make their fortune across the Atlantic. The so-called “Indianos” then returned to their hometown. They had sumptuous homes and premises for charitable organisations built. This is the case of the old Sant Miquel hospital which has now been transformed into Tossa de Mar’s cultural centre. In the period between the two world wars, Tossa de Mar’s reputation went beyond the borders of the peninsula. Painters, sculptors and other artists were seduced by the charm of this fortified village and took their holidays here, just like the famous Marc Chagall. Tossa has thus been able to establish one of Spain’s first modern art museums, the municipal museum, whose collection of works is still worth a visit to this day. The Sans House will seduce lovers of Modernist architecture. Tossa’s attractiveness, temporarily interrupted by the Spanish Civil War, foreshadowed its success from the 1960s onwards. Today, the town continues to attract tourists from around the globe. It has preserved its incredible charm. Why not enjoy the sweet mornings and late afternoons to explore the old town? You will be spoiled for choice among the many historical buildings, remnants of Tossa de Mar’s rich history. Stroll through the shady cobbled streets and enjoy the calm that reigns there. The old town and its ramparts,classed as historical monuments, alone merit a long walk. Day and night, it is difficult to resist the medieval charm of this village! Whilst you’re strolling around the town, do not miss out on a visit to the two Sant Vicenç churches. From the medieval church, you can enjoy an exceptional view of the sea. Lovers of the sea and its history will appreciate the detour by the Tossa lighthouse where you can now find an exposition on the history of the lighthouses of the Mediterranean sea. 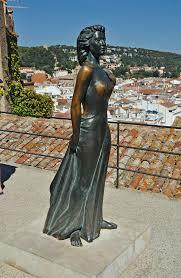 You can also admire the statue of Ava Gardner, one of the town’s pride and joys. It pays tribute to the actress who shot the film Pandora here (released in 1951). A small anecdote: this production was the first international scale production to be filmed in Spain. 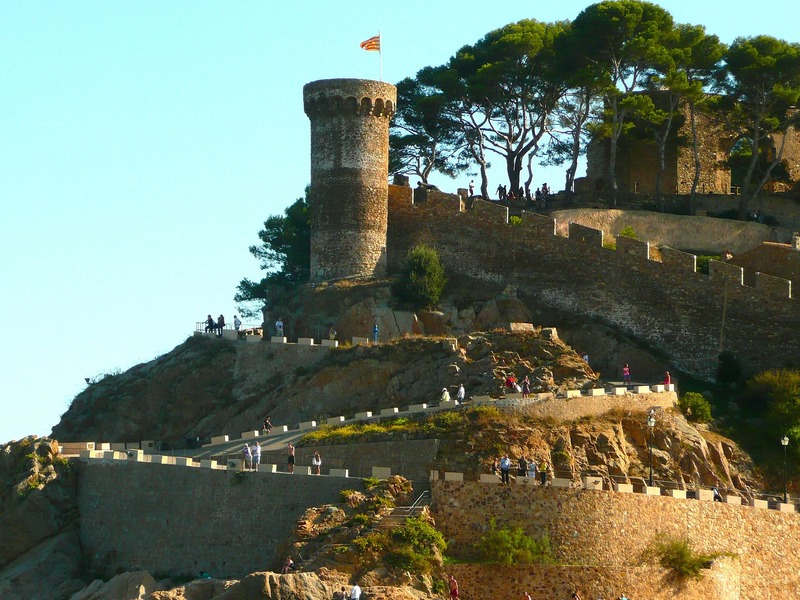 You can also go on a guided tour of Tossa de Mar: a good idea for history buffs and enthusiasts. To find out more, visit the Tossa Tour Experience website. If you prefer to visit the town on your own, pick up a tourist brochure from Tossa de Mar’s tourist office.